Fight to the end and be sure to win. From boxing to wrestling to street fighting to Kung Fu, Games.lol allows you to play the best fighting games online for free. Learn more about the different titles here! All of Games.lol’s unblocked fighting games for PC are packed with fun and lots of action. Depending on which character you choose, you are guaranteed to have access to special punches, kicks, and weapons. You can use all of these to your advantage as you fight off enemies and/or monsters. Play boxing and wrestling games to test your skills. You can also have a look-see at our different street fighting titles, including martial arts, anime, sword, stickman, robot, and Kung Fu fighting games. Play as one of Marvel’s superheroes or villains in Marvel Contest of Champions. You can also experience the intensity between machines in Robot Fighting 2, or understand true girl power in Honkai Impact 3. If you want a title that has a mix of street fighting and ninja games, then Power Rangers: Legacy Wars will keep you coming back for more. You can also wield the power of Burrito Bison in Burrito Bison: Launcha Libre. We have plenty of 2 player online fighting games to offer, and all of them are free to download. Each title includes guides and tips on how to control your character or fighter. This gives you the intuitiveness and ease of use. But, at the end of the day, it will all be about spinning, kicking, and throwing punches. Karate chop your way through hundreds of different levels and environments. Only then can you become the legendary fighter that you deserve! Play the second installment of the most exciting fighting game – Robot Fighting 2. Forget boxing games, wrestling games, martial arts, and street fighting games because this is the future of all fighting game genre. If you are tired of the same old games that only allow you to punch and kick your opponents, it is time for you to try Robot Fighting 2. This second game in the Robot Fighting franchise uses the same formula that makes the first one so popular. You are pitted against other robots in a pound-for-pound metal battle. Experience the best robot fighting game that you can play today! Equip your mech with rare and unique weapons and use them to grind your opponents to bits and pieces. Collect and unlock robot cars as you progress in the game and be matched with fearsome opponents looking to crush you once you set into the ring. Choose a variety of weapons and traps to have the edge over your opponents in the battles including flamethrowers, saw blades, grinders, kill saws, ramrods, and more! Robot Fighting 2 features over 15 battle cars and mechs each with different skills and abilities. Customize your mech with all the weapons and upgrades that you need as you take on players around the world in this jaw-dropping and stunning 3D robot fighting game. Team up with more fighters and battle old and new friends in the latest game based on the popular web game featuring the macho wrestler – Burrito Bison. Kick, punch, summersault, and fly in this exhilarating wrestler game, and show all your wrestling prowess as you fight your way through the invasion of nefarious gummy bears. Burrito Bison: Launcha Libre features a fun story where you need to recover your cookbook that was stolen by an evil chef. With the help of two new characters – El Pollo and Pineapple Spank – you will take on an epic journey to reclaim what is yours. Fight the evil gummy minions while you wrestle your way to victory. To win the game, you need to fight up to 5 bosses and discover their weaknesses. 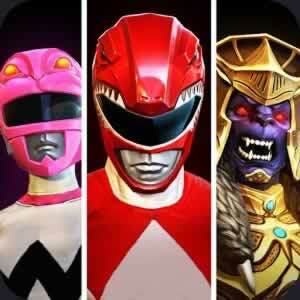 Upgrade your suit and equip different kinds of weapons in this one of a kind wrestling game. Looking for the greatest challenge in the game? Fight your way up to the Final Boss and you will find your match. Eliminate the most powerful villain and unlock a new world where more fun and excitement awaits you. Burrito Bison: Launcha Libre is a wrestling game, boxing game, and street fighting packed into one. Create your dream team of the most powerful heroes and villains from the DC Universe and prove that you are the strongest squad the world has ever seen. DC Unchained lets you enjoy a classic 2-player fighting game with your favorite characters from the popular DC comics and movies. Take control of the iconic superheroes and super-villains such as Superman, Batman, Wonder Woman, The Joker, Aquaman, Lex Luthor, Harley Quinn, Cyborg, Darkseid, Artemis, and more! 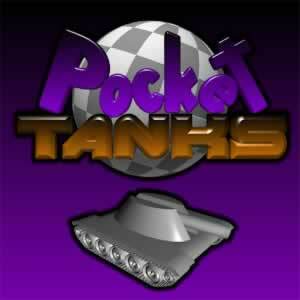 Collect rewards, coins, and upgrades as you win matches. There are daily bosses in the game that you need to defeat to get the needed parts and requirements so that you can craft skins for your characters. The game’s new skin events allow you to equip your team with shiny new costumes to make them look like the most badass squad of heroes. 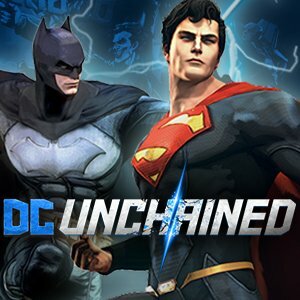 DC: Unchained also features a multiplayer mode where you can play with other players and increase your rank for greater chances of getting rare rewards. Whatever your playing style is, you will surely get your fix of action and entertainment in these awesome unblocked fighting games for PC. This is a complete mix of kung-fu fighting, martial arts, and ninja games as your characters use a variety of fighting moves combined with their superpowers. Pumped up about beating your enemies in an epic battle? Download and try out the PC Fighting Games we have here!